In 2000, TVR changed the styling of the car slightly by modifying the headlights to more closely resemble those seen in the TVR Tuscan. 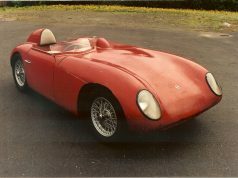 The “facelift” features were available with all three engine configurations. 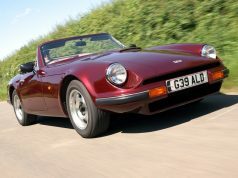 In addition, the cars equipped with the 4.5 liter engine were offered with the “lightweight” option which saw 40 kilograms trimmed from the overall weight through the use of lighter body panels and a slightly reworked interior. 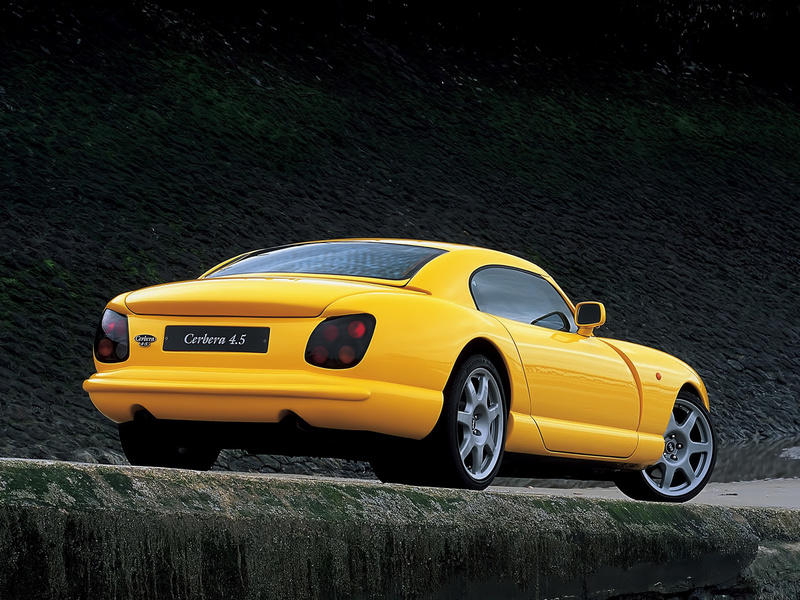 In 2002, the headlight housings were faired into the wings for even smoother lines at the same time as the suspension being upgraded. From 2002, all TVR Cerberas have a new suspension set-up, the most notable parts of the which are gas-filled dampers which TVR has developed in conjunction with HBE to incorporate a highly unusual damper curve. 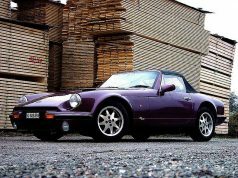 By ramping up the rebound very quickly at higher piston speeds, traction and ride can be improved at the same time as high-speed body control. 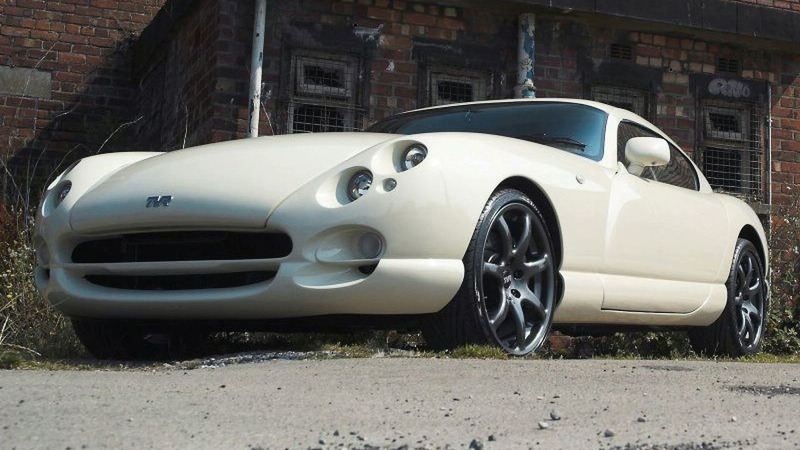 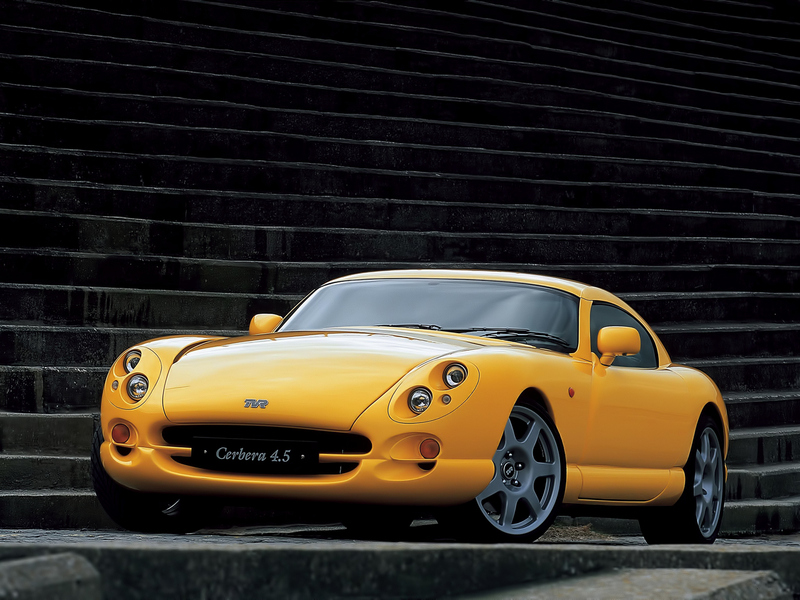 In August 2006, TVR held an online auction for what it billed as “The Last Cerbera“. 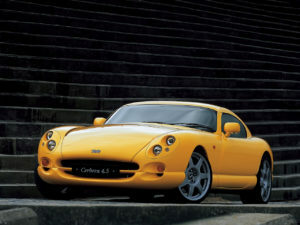 According to thelastcebera.com, the website that TVR created especially for the auction, TVR’s owner and chairman, Nikolay Smolensky (spelled “Nikolai Smolenski” on thelastcerbera.com site), brought the design out of retirement for one more unit as an homage to the “beautiful but brutish bygone British sports car.” The “last Cerbera” was a 4.5 LW right-hand drive car in Pepper white with Prussian blue leather interior trim. 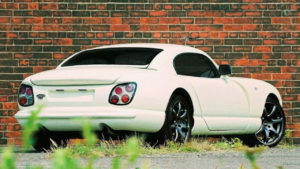 The auction failed to meet its reserve price but TVR still decided to sell the car to the high bidder. The final bid was under £45,000 to which 5% plus 17.5% VAT would be added.